Create your own moving message. 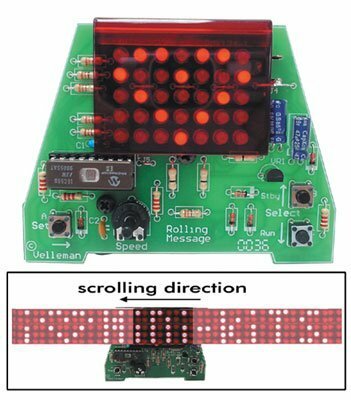 35-LED graphic display. Max. 16 characters. Adjustable scrolling speed. Press "SET" to change a particular character. Press the up or down-key to select a character and end with the "